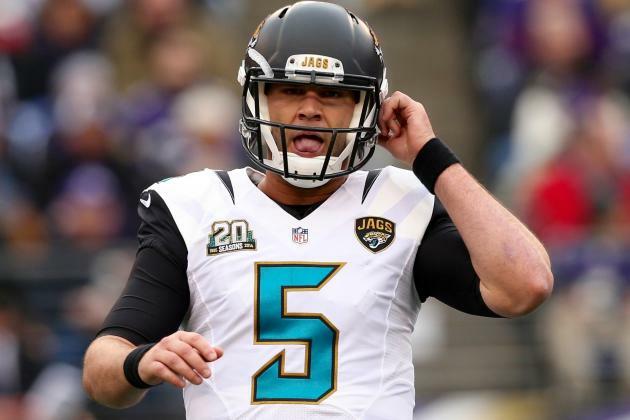 Home > US Sports > NFL > Can Blake Bortles be Salvaged? Throughout his three year tenure in Jacksonville, Blake Bortles has been one of the NFL’s biggest disappointments. Drafted with the third pick out of UCF, Bortles was brought in to bring much needed stability to Jacksonville. Instead, he has struggled mightily, throwing as many interceptions for touchdowns as victories (11 a piece). Many convinced themselves that this would be a big breakout season for Bortles and the Jaguars after a promising 2015. In that season, Bortles threw for 35 touchdown passes and eclipsed the 4,000 yard mark. While a lot of these stats came in garbage time, he showed raw big play ability. Even though the team finished 5-11, they lost 6 of their games by one score or less, displaying a promising competitiveness. At 3-12, the Jaguars have regressed in all facets despite the expectations heading into the year. In comparison to last year, Bortles has thrown for 13 less touchdowns, while turning the ball over 20 times throughout the season. With the firing of coach Gus Bradley, GM David Caldwell has announced the next coach brought in does not have to stick with Bortles. The general consensus is that whomever this new coach is, they should ditch Bortles and find a new quarterback. That sounds promising on paper, but isn’t a very well thought-out idea. This free agency class mostly features a mix bag of mediocre quarterbacks, with Jay Cutler and Colin Kaepernick not being the answer to this team’s problems. As far as the draft goes, no quarterback is even being evaluated at a first round level, with the top prospects believed to be project quarterbacks. Don’t think this face would solve anything. Part of the problem with the Jaguars, and other losing NFL franchises is how quickly they change their team. The team was fair in giving Gus Bradley plenty of time to prove himself, but to quit on Bortles after three seasons would be an overreaction. If you think the coach was bad, then why not bring in a good coach to help the quarterback? Bradley was a defensive-minded coach, which clearly showed in Bortles slow development. Good coaching is what makes quarterbacks reach the next level. Before Sean Payton, Drew Brees was a fairly modest quarterback, with most criticizing him for his lack of height and arm strength. Once teamed with Payton, the duo lit the NFL world on fire, creating one of the most high-flying attacks in football. While I am by no means calling Bortles the next NFL legend, Brees’ story shows the drastic difference a good coach can make. In Bortles first game without Bradley as head coach, he showed that perhaps we should not give up on him yet. With offensive-minded Doug Marrone at the helm, Bortles had his best game yet, completing 68% of his passes and keeping the ball away from the other team. Not only that, but Bortles led a decisive 38-17 win over the Titans, who at the time were competing for a playoff spot. Blake Bortles has had a lot of down moments, but so have a lot of quarterbacks early on in their career. Under the right coach, this Jaguars team could be able to turn around fairly quickly. Perhaps the Jaguars have stumbled onto their next coach with Marrone, who had this team playing far more hungrier than they have ever looked.